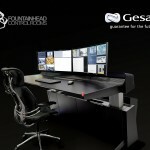 GESAB presents its new generation of closed control consoles where the users are the protagonists and the ergonomics push the envelope. The ACTEA Series comes with three new differential consoles that have an intuitive design and great storage capacity to offer the operator a unique experience. 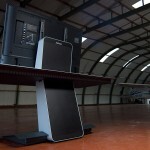 ACTEA Mission, the perfect balance between design and technology. ACTEA Slide, a console where minimalism pushes the envelope and its design hides the latest in innovation. And finally, ACTEA ATC, designed without limits, where the operator’s needs find new solutions. All the consoles in the line have 3 different sizes: small with a minimalist design; medium with optimal capacity and versatility; and large with the maximum equipment storage capacity. The rear technical compartment adapts to the customer’s needs. 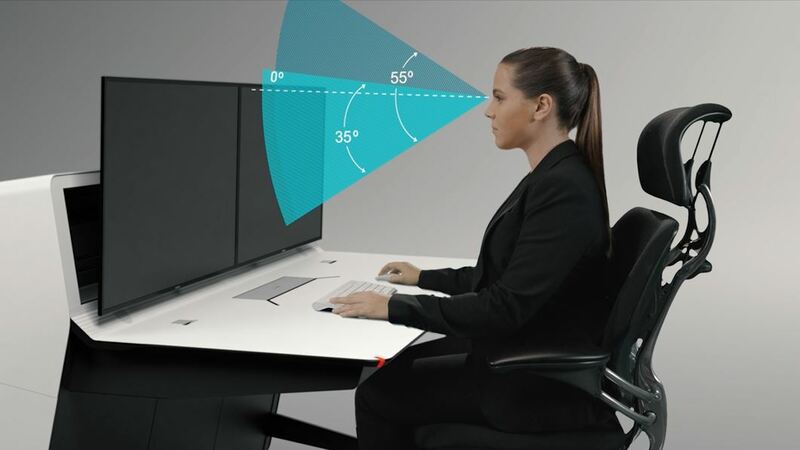 Further, all the consoles have the possibility of incorporating the Sit & Stand system, a solution that enables the operator to work at double height, offering users a new way to understand their work station, making it more dynamic, collaborative and pleasant. 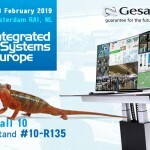 Consoles that break barriers with the possibility of customising the dimensions and the ability to adapt to any space, configuration, continuous or independent forms. Its Air Flow cooling system enables the equipment to be maintained at an appropriate temperature to guarantee its optimal operation thanks to its ultra-silent fans. These extract air without affecting the equipment itself or control centre users. The Smart Consoles concept has taken it a step further with consoles that merge the latest technology to offer each user smart, intuitive answers. We are talking about solutions such as LED lighting, wireless chargers, download buttons or the customisation of spaces such as the Personal Dock. 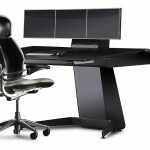 Consoles designed to amaze, integrating the latest technology and maximum ergonomics to create safe, efficient and healthy work spaces for users. The future is here. 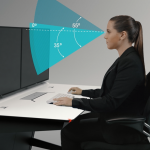 Why investing in health and ergonomics in control centres?